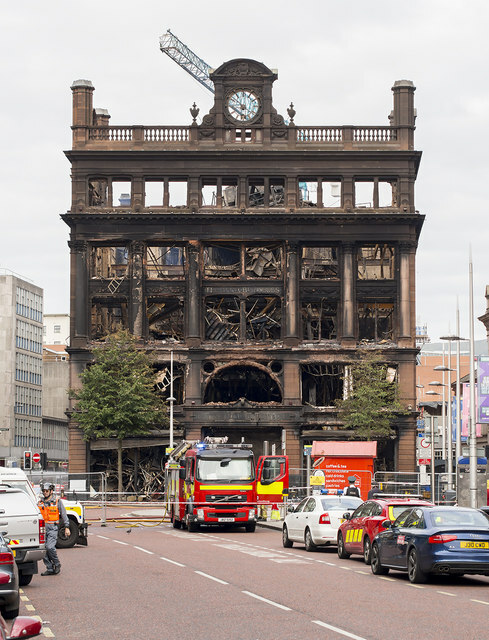 The Bank Buildings nearly 48 hours after the fire began. Fire service personnel and police still in attendance; the site was eerily quiet. A series of photographs showing appliances and fire stations etc of the Northern Ireland Fire and Rescue Service. It has no connection with the NIFRS.